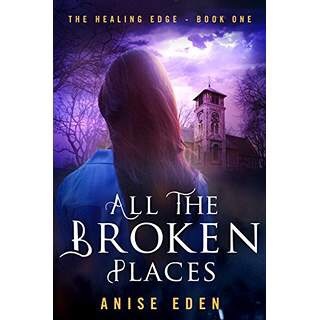 I have enjoyed reading and reviewing both of Anise Eden’s novels in the Healing Edge series. It is hard to confine her style of writing to one genre, but paranormal is the best fit. If you are a fan, you may have wanted to ask her some of these questions yourself. 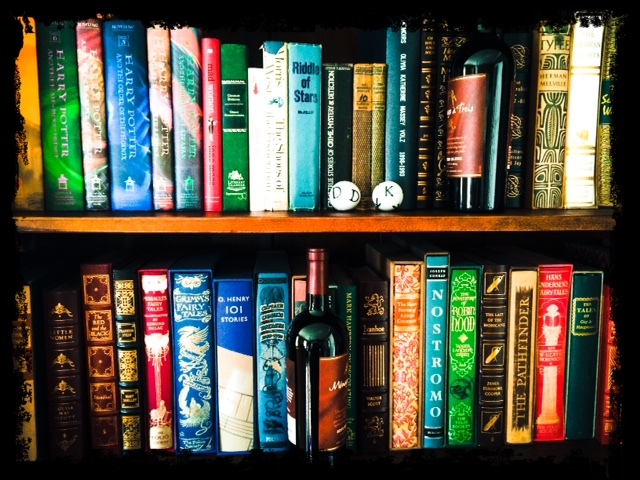 If she is a new author to you, I hope my questions, and her answers intrigue you into trying her books. You can also read my reviews of All the Broken Places and All the Wounds in Shadow by clicking these titles. Hi Anise, thanks so much for agreeing to a brief interview for my blog. 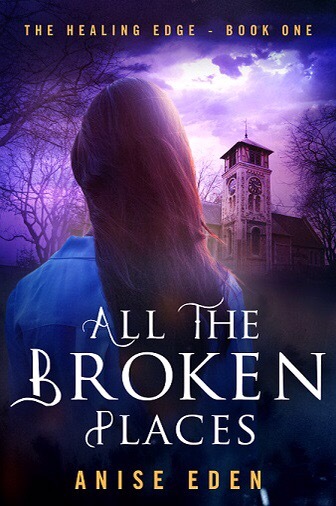 ME: We are introduced to Cate Duncan, your main protagonist, in All the Broken Places. She is a psychologist, who actually links with her patients mentally to help them heal. She joins the MacGregor Group after she’s had a mental breakdown. The analogy I would use would be that her mind has shorted out, kind of like when a circuit breaker trips, and the socket won’t work anymore. Her weakness, linking minds with her patients, actually becomes her strength later in the story, and also in the second book, All the Wounds in Shadow. This theme of connecting mentally with another character feels like it is more than a prop. Did you draw from an experience of your own that was similar to what Cate may have gone through? AE: First of all, Deborah, I want to thank you for having me! I enjoy reading your reviews so much, and it is an absolute pleasure to be here. I’m delighted that you’ve enjoyed my first two books, and I deeply appreciate your interest. In answer to your question, the ability to empathize with others is something that I think most of us have, but like many traits, it probably exists along a continuum. I would place myself somewhere near the high end of the empathy scale, since I’ve always been good at sensing how other people feel and understanding their emotional realities. My guess is that this is a common trait among writers who, after all, imagine the lives of many different characters as part of our work. In terms of being able to connect mentally with others, I have also had incidents of “intuitive knowing,” or spontaneously knowing information about loved ones (see your question about psychic abilities below). I did draw upon these experiences when writing about Cate’s abilities, but for the purposes of the story, I cranked them up a notch, creating new, more intense aspects to her gifts. ME: Anise, my mother is a former hypnotherapist, who has practiced Reiki, so I recognize a lot of the language being used to describe your characters actions. I know your books fall into the paranormal genre, but would you agree that they might be more mystical, even spiritual, than paranormal? AE: Personally, I believe that my books could comfortably fit into several genres, including mystical, spiritual, paranormal—even fantasy or science fiction. Which category fits best depends upon the perspective of the reader. I chose “paranormal” in part because it is both accurate and inclusive, welcoming skeptics, people who stand in a spiritual or mystical place, and everyone in between. That variety of beliefs is also reflected in the central characters of the series; I think that most readers will encounter a character whose perspective is close to theirs. ME: I must ask that question that seems the most obvious. Do you write about psychic abilities because you have some? Or are you just interested in the subject? AE: To be honest, I don’t know whether the “intuitive knowing” I mentioned earlier would be considered a psychic ability. Within my family, everyone has had experiences like that, so I’ve grown up seeing them as a normal part of life. For us, “intuitive knowing” usually involves knowing when something significant has happened to a loved one who is not physically present—for example, knowing the moment that someone has died or been seriously injured, or when someone is having an emotional crisis. Even outside of my family, I’ve encountered so many people who have either had such experiences or know someone who has that I imagine episodes of “intuitive knowing” must be quite common. I think it’s probable that most people have had some type of insight or experience that they can’t explain. I also believe that it would be short-sighted to dismiss these experiences simply because a scientific explanation for such phenomena has yet to be found. ME: Your second novel, All the Wounds in Shadow explores military involvement in a parapsychology unit, of sorts. This allows the reader to get a little closer to Ben, than we did in the first book. He has a difficult part in these stories, as the straight man to a cast of characters who live in technicolor. Will we see Ben develop any psychic abilities in future books? Can you give us insight into his future? AE: Unfortunately, I can’t answer this question directly without giving away spoilers! However, one of Ben’s most reliable qualities is his consistency. While it is necessary for him to keep secrets at times, he has always been straightforward and honest with Cate, for example, about who he is and how he feels, and he never wavers from that. What readers believe they may have seen in him, and what he may have yet to see in himself—these are issues to be explored in the next book. ME: The romance between Ben and Cate seems to be moving in the right direction, so I’ll ask about Cate alone. She seems to be getting more comfortable in her role as psychic psychologist. Will she continue to take chances with her own mental health through overuse of her abilities? AE: Like Ben, Cate is a pretty consistent character, although she does a lot of growing and learning throughout the series. One of her traits—and the source of quite a few of her conflicts with Ben—is her willingness to put herself in jeopardy to help others. This is a very basic part of who she is, and I don’t see it disappearing. However, she may be motivated to take better care of herself now that she sees more hope for her future. Also, now that she’s in a relationship with Ben, she is beginning to consider how her decisions might affect him—particularly decisions that might be to her detriment. It’s a balance that she may always be struggling to perfect, but as she learns more about her abilities and how to protect herself, it should get easier. ME: I understand the next, and possibly last book in the series is being written right now? May I get a brief synopsis or quote to tantalize my readers? AE: Well, that’s a bit tricky—the book is still in edits, so it’s not certain at this point exactly what will stay and what will go! But I can tell you that the MacGregor Group faces a serious existential threat, and the development of the relationship between Ben and Cate, along with the ability of the Group to work successfully as a team, are crucial to the outcome. For this book, I enjoyed placing these characters in an entirely different setting, as well; rather than their usual urban environments, they spend most of their time at a sporting resort on a remote lake. Also, several threads from the first two books that were left hanging, or that seemed to be unrelated, come together in this installment in unexpected ways. 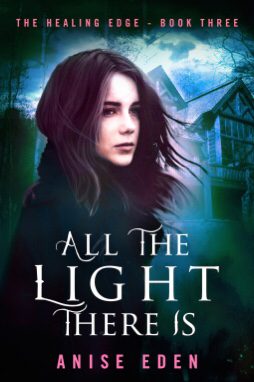 This third book is called All the Light There Is, and it will come out in Spring/Summer 2017. I’m can’t wait to share it with readers! ME: I appreciate the opportunity to ask you these questions! Paranormal is one of my favorite genre’s, and your books take a very fresh, unique path within that genre. I am looking forward to seeing Cate and Ben’s story continue next year. AE: Deborah, I’m delighted to be able to talk with you, and I’m thrilled that you are enjoying the series. Thank you so much again for having me! All the Broken Places and All the Wounds in Shadow are available now from Diversion Books. These books are available on Amazon, Barnes and Noble and Kobo!